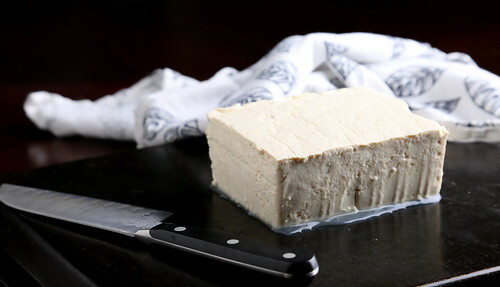 I’m fanatically particular about how I press and marinate tofu and, if I’m not following that process, I’m throwing plain, unpressed slabs of it into a searing hot pan using this quick and easy method. 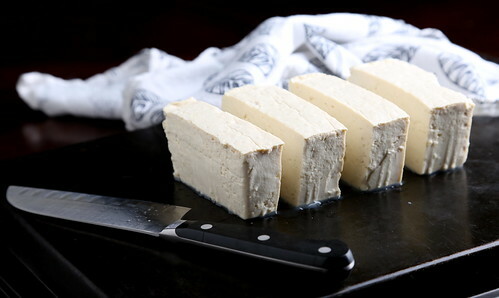 High heat, moisture and steam help to produce tofu that has a french toast-like caramelized appearance on the outside, with a succulent and soft texture on the inside. This prep is perfect for weeknight meals, or when you don’t feel like or have the time to press and marinate tofu. 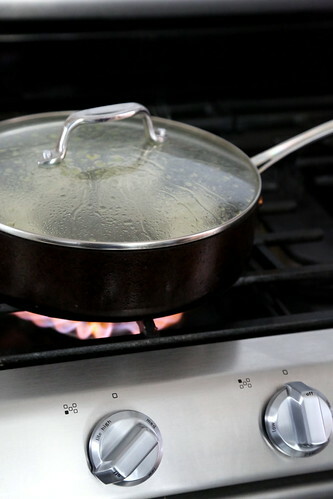 Cooking temps and times may slightly vary from stove to stove, so this is more of a guide that can be adjusted slightly depending on your stove’s behavior. *CAUTION! 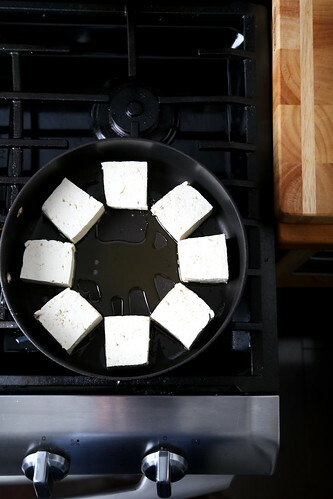 It will pop and sputter due to the high heat and moisture in the tofu, so be sure to carefully lift the lid up straight to avoid any collected condensation from dripping into the hot pan. The tofu also occasionally pops, so stand back when removing the lid. After the tofu is nicely browned on one side (it should kind of look like french toast on the outside), carefully flip the tofu (it will pop and sizzle), and cover again. Rockin' the basics as usual. Man, it kills me that people think most tofu is either just that mushy curd often in Chinese food (only one of the reasons that I don't like Chinese from restaurants), or that fried tofu (also in restaurants) often cooked in dining commons that looks like a little golden nugget of delicious vegan protein, but is almost hollow on the inside with a speck of white tofu left. ha! yes, I am familiar with those kinds of tofu. So the pan is just barely preheated when you put in the tofu? 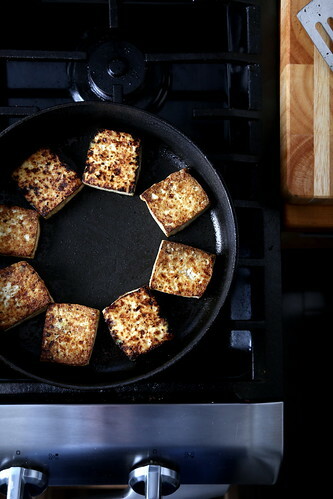 Yes, you don't want the pan to be super hot when you put unpressed tofu into it — it will sputter. What an easy prep! 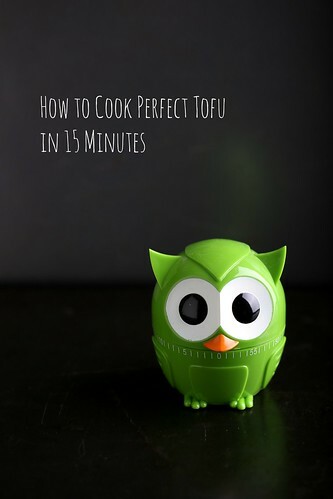 I love tofu and eat it often but I if I don't have time to press it I usually just fry it and hope for the best 🙂 your method looks much better and foolproof. Ill be trying this tonight! I hope you enjoy, Alex! I made this last night with the General Tso's Sauce and it was delicious!! So happy you liked Shanae, thanks for letting me know! 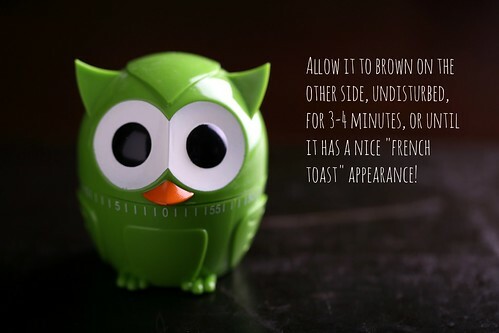 I tried this the other night and it worked out okay, but it didn't taste as yummy as your pics look. 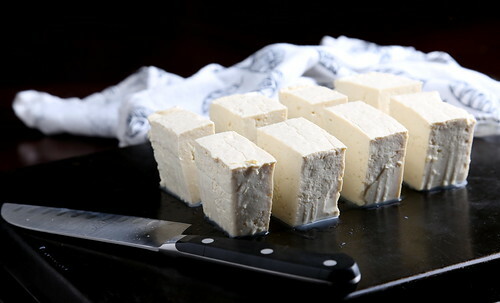 What kind of tofu do you recommend using? I did it with an extra firm. Sarah, thanks for trying — I use Nasoya firm tofu. I made this last night with the Everything Sauce – AMAZING! Seriously, my life is changed. 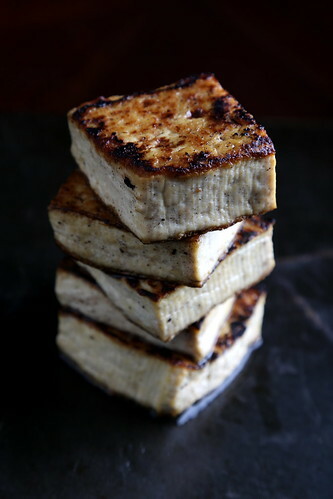 My husband and I both cook, but he never wants to mess with tofu – he prefers working with tempeh. This was so simple and delicious – we will definitely do it again!! I love to hear that — I'm, so happy you enjoyed, Rachael! wow these looks great! 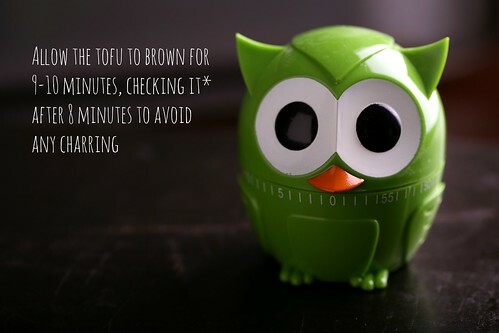 I am always pressing tofu, but i'll have to try this! yes, but I would brown one side plain first, then add spices to ensure they do not burn. I hope you enjoy! Hi! Thank you for your demonstration with the tofu. I not a lover of tofu, but someone gave me a package of tofu. So this gives me an opportunity to try your method including some of the suggestions in the comment section. Thanks again. Before cooking, I like to get most of the moisture out of the tofu. I put it in a paper towel lined collandar, set another paper towel over it, and then layer a saucer on top. When all parts of the paper towel are wet with the sweat of the tofu, then I know I’m ready to cook. I “fry” mine (drizzled oil) much the way you do, but I toss it in corn starch until just coated. Then, I carry on with the recipe like you. The cornstarch really crisps up the outer tofu without a heavy breaded coating and leaves the inside light, fluffy, and moist. My family loves it. My meat eaters say it tastes like fried chicken, and my vegans and vegetarians say it’s simply delicious. I can’t wait to try some of your sauces!